St Joseph’s Nursing Home is a home for the aged in a densely populated residential district in the West of Singapore. The massing was influenced and conceived to visually engage the existing Chapel. 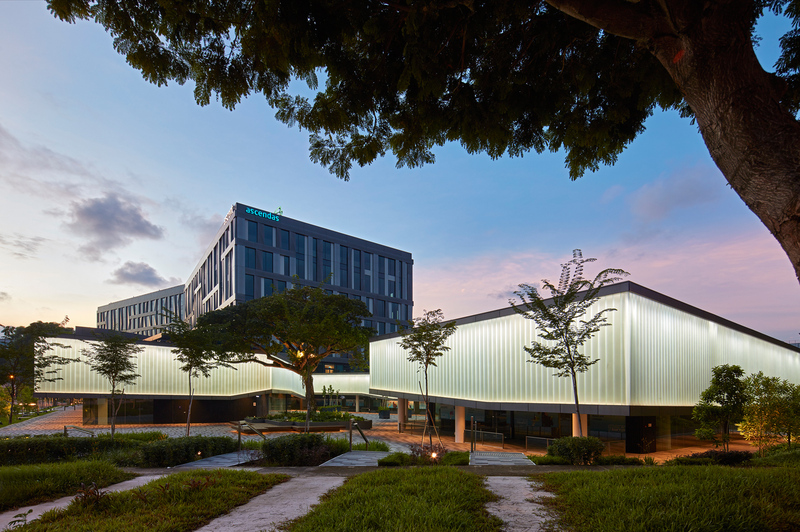 Sight lines for both the wards and communal pockets were constructed towards either the chapel or the green sanctuary and all communal pockets within the development are designed with vistas towards the chapel, thereby establishing a direct and strong visual relationship. 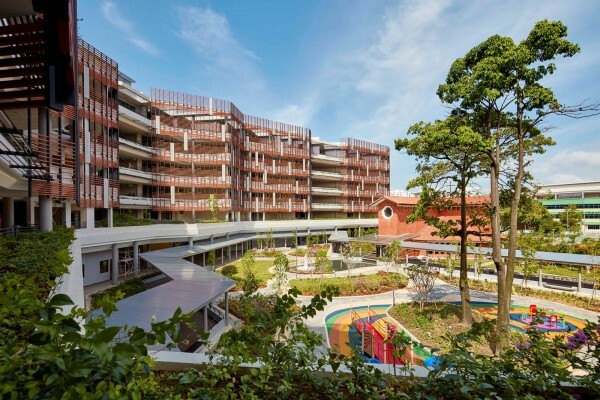 The nature of “The Home” was preserved by providing accessible garden spaces for the physically abled and visual greenery for the bedridden residents. 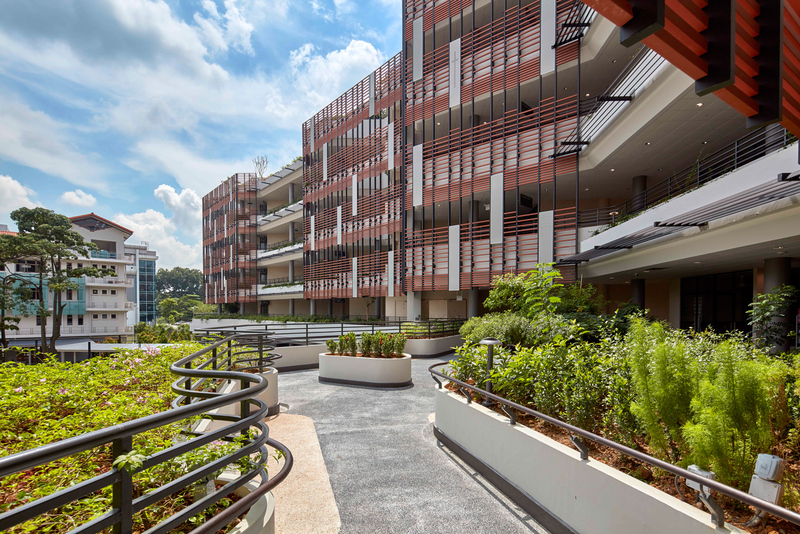 Communal pockets and generous greenery on each floor enhance their residential environment and facilitate social interaction among residents, with relatives or visitors. 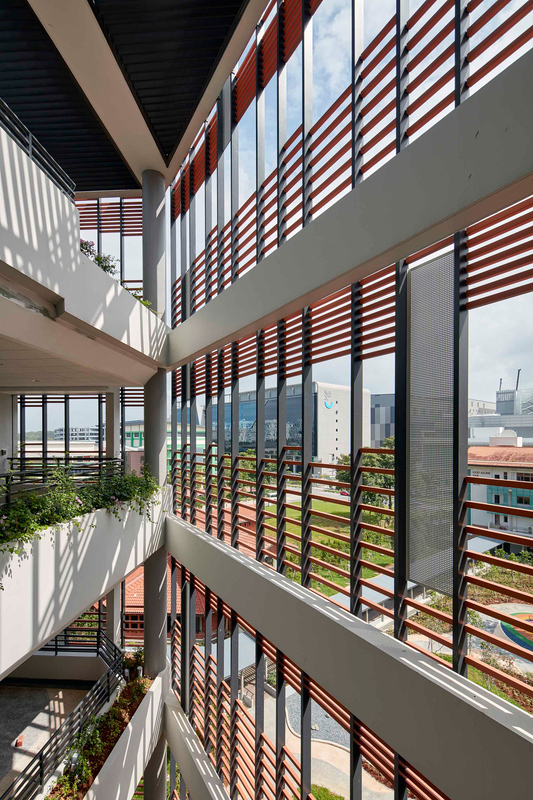 The design endeavours to recreate a ground floor environment that is lushly vegetated. 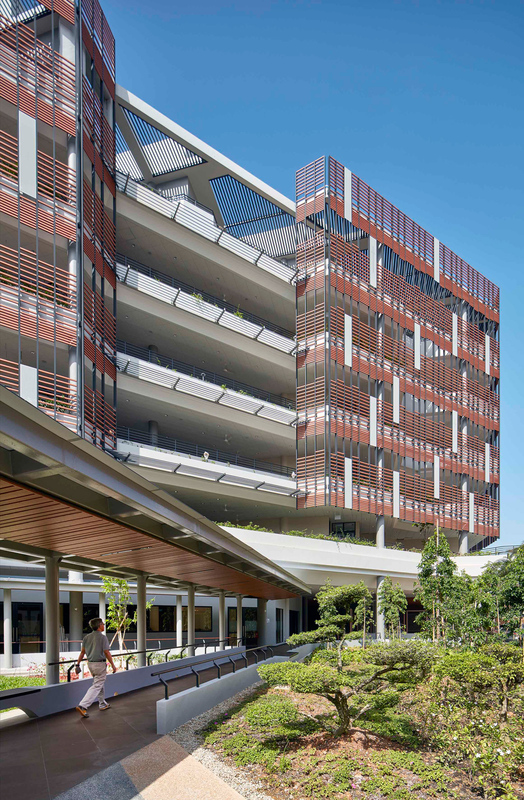 Planters, sunken planters and terracotta panels for vertical greenery are applied throughout the entire development to infuse pockets of active and green spaces on every floor. Residents are then able to enjoy fresh air, sunlight and greenery without having to descend to the ground floor, which also aids staff in monitoring the residents. 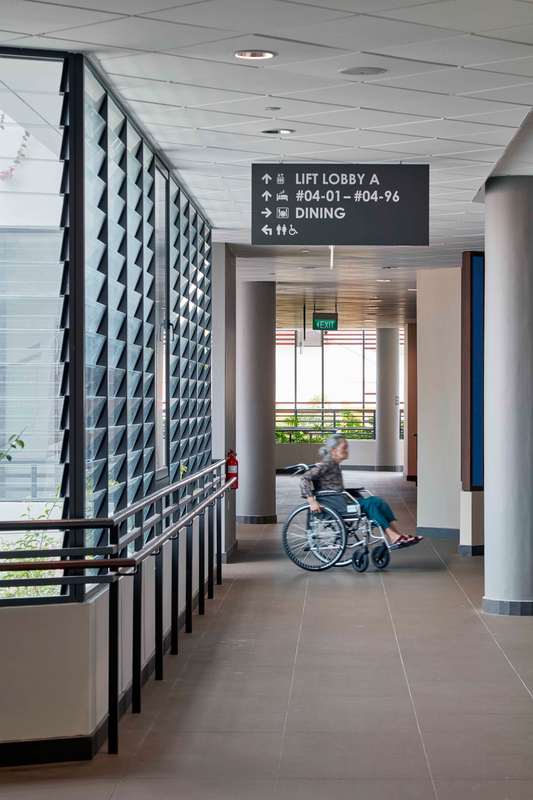 The garden trail that runs the periphery of each floor serves as a circulation circuit for the wheelchair bound residents, thereby encouraging residents to engage in physical activity. 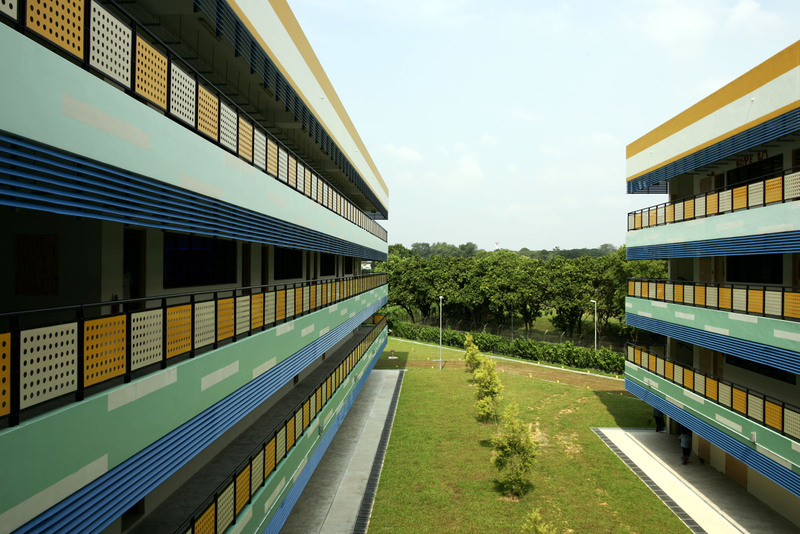 Staggering the wards creates pockets of spaces along corridors which can accommodate a bed each to offer bed-ridden residents respite among greenery. 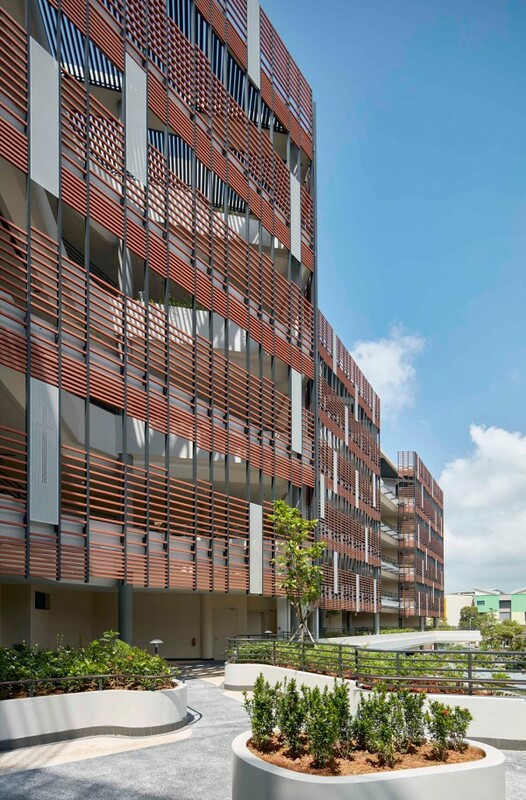 The installation of baguette façade system with varying porosity around the wards creates an intimate semi-outdoor landscaped space where residents can enjoy framed views out. 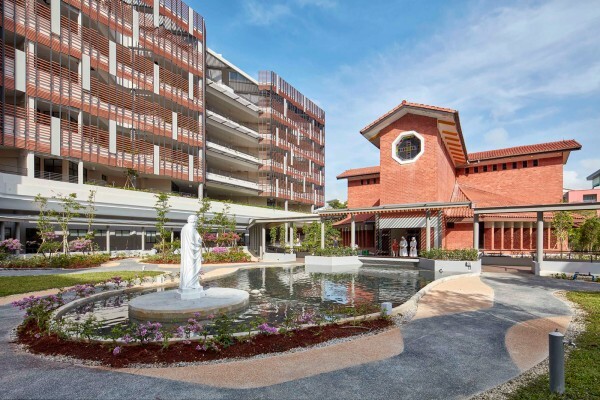 Warm materials such as terracotta was selected for its durability, longevity and ability to create a domestic feel for the nursing home.